Shares of U.S. steel producer Nucor (NUE - Get Report) opened moderately higher on Friday after the company said it was lowering its earnings guidance for its first quarter due to lower-than-expected prices for its steel and wetter-than-normal winter conditions that caused shipment delays to construction customers. 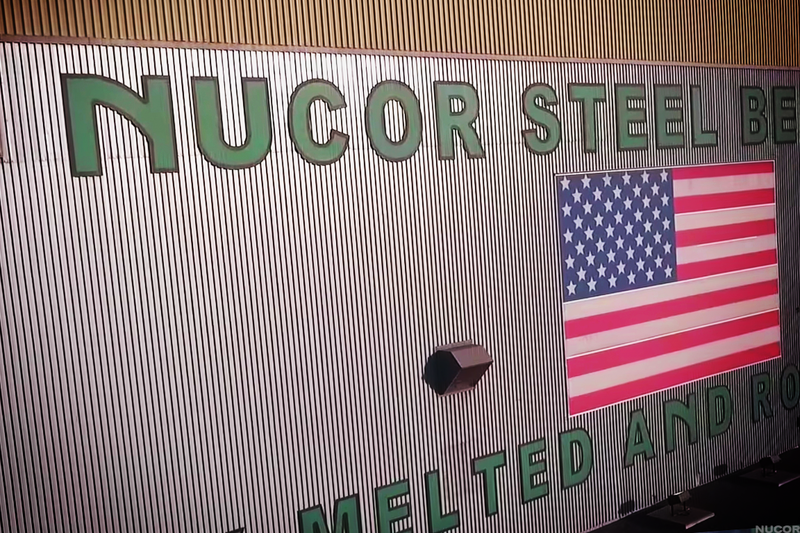 Shares of Nucor were up 34 cents at $59.15 in early trading on the New York Stock Exchange. In a statement released before the market open on Friday, Nucor said it now expects first-quarter earnings in the range of $1.45 to $1.50 a diluted share, down from fourth-quarter 2018 earnings of $2.07 a diluted share. Analysts surveyed by FactSet had been expecting per-share earnings of $1.62. "We expect earnings of the steel mills segment in the first quarter of 2019 to decrease from the fourth quarter of 2018 due primarily to lower average selling prices and margins in our sheet mill group," the company said in the statement. The performance of the raw materials segment is also expected to decrease in the first quarter of 2019 "due to margin compression in our DRI businesses, which have experienced declining average selling prices since the fourth quarter of 2018," Nucor said. However, the company added that it believes sheet pricing "reached the low point during the first quarter," and that management is "encouraged by the impact of recent price increases," noting that "the profitability of our steel products segment in the first quarter of 2019 is expected to be similar to the fourth quarter of 2018." Based in Charlotte, N.C., Newcor is the largest steel producer and "mini-mill" steelmaker in the U.S.